This simulation shows a representation of standing sound waves in a pipe. 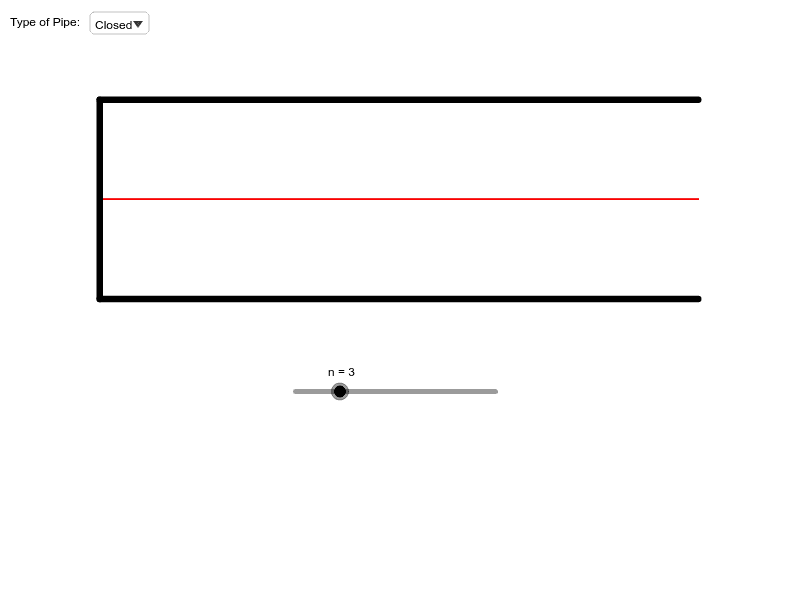 The type of pipe (open on both ends or closed on one) can be selected, and the value of n can be changed, where n is the number of the harmonic. What happens when you select an even value of n for the closed pipe? Why? Set n to an odd value. Does the standing wave change if you switch between an open and closed pipe? Which can produce the lowest frequency, an open pipe or a closed one? Suppose you could have a pipe that was closed on both ends. Would it be more like the open pipe, or the pipe that is closed on one end?